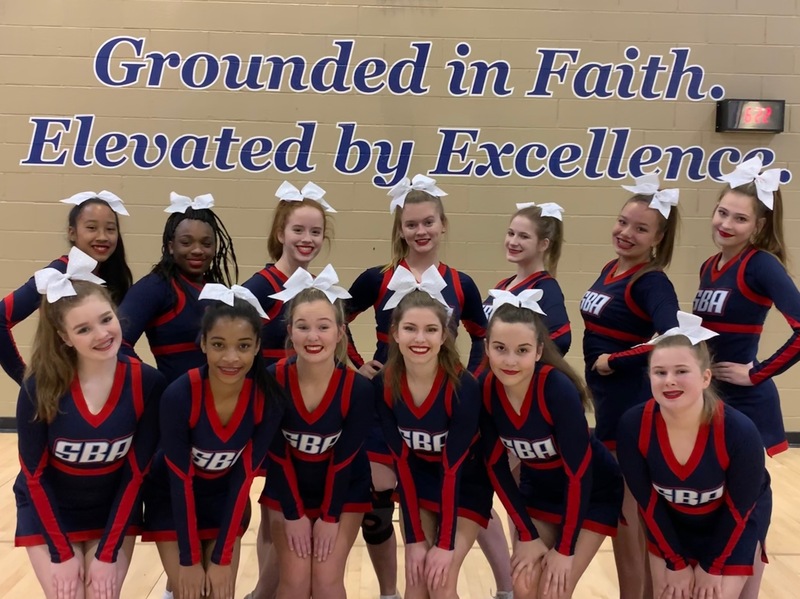 Interested in becoming an SBA Cheerleader? Come join the fun! 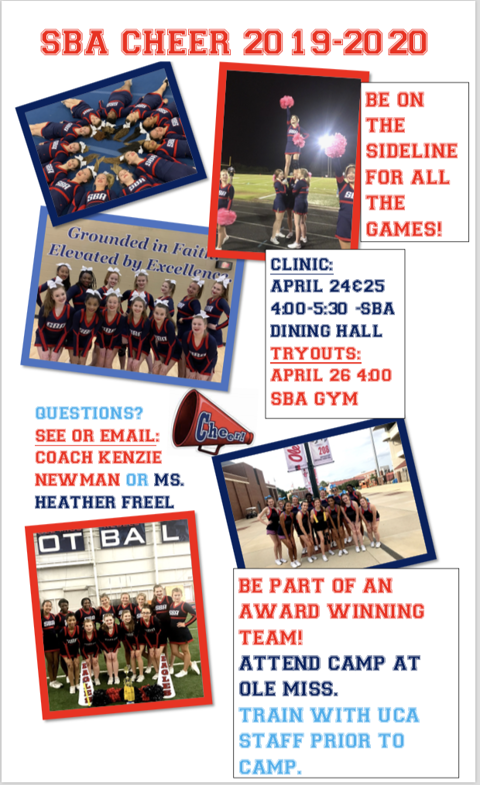 Clinic will be April 24, 25 4:00 – 5:30 in the SBA Dining Hall - Try out will be Friday, April 26 4:00 until conclusion in the SBA Gym. Participants MUST attend clinic to try out. The following must be turned in to the SBA office. If you do not have the following turned in, you may not participate according to TSSAA rules. You may mail in this information to St. Benedict, 8250 Varnavas Drive, Cordova, TN 38016.